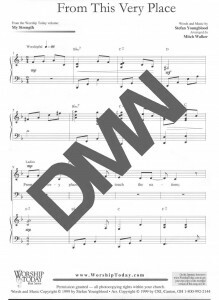 Music arranging is the art and craft of writing specific notes and/or chord symbols for the instruments and vocals used in a recording or live performance. This requires knowledge of the range, strengths, weaknesses, timbre and role of each instrument or voice within the genre of music being written for. Arranging also requires knowledge of orchestration techniques, voicing possibilities, and note doubling techniques to achieve a desired character of sound. An arranger is usually given the task of enhancing or embellishing a song, and that task requires skill and experience on the same level as that of a composer. Let's discuss your custom music arrangement. 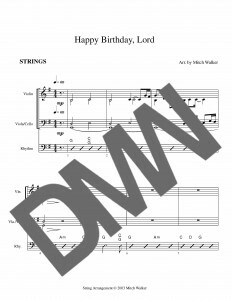 View the titles below for examples of arranging projects by Mitch Walker. 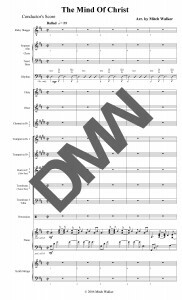 A Dixieland-style arrangement for rhythm section, brass and woodwinds. Transcribed/arranged by Mitch Walker. From Stacy Grubbs’ CD Hurricane. Listen to the mp3 and read along. Arranged for strings and conducted by Mitch Walker. Click on PDF after starting mp3. Another example from Stacy Grubbs’ CD Hurricane. 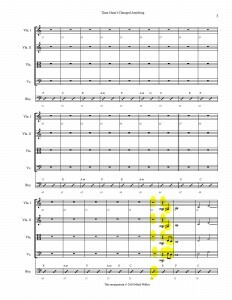 Listen to the mp3 and read along (starts at highlighted measure). 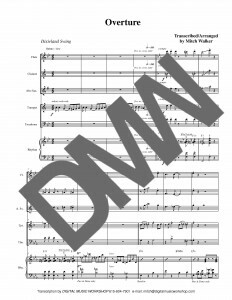 Arranged for strings and conducted by Mitch Walker. A medium-difficulty arrangement for praise group singers. Arranged by Mitch Walker. 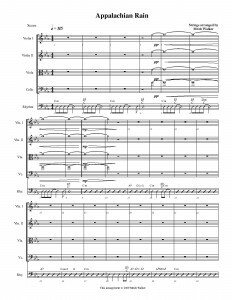 Originally a Ricky Skaggs recording, this arrangement for soloist, choir, and orchestra was commissioned by First Baptist Church, Hendersonville, Tennessee. Arranged by Mitch Walker. String arrangement for an original Christmas song. Arranged by Mitch Walker.